20" X 17" premium quality nylon sling bag with double draw-cord. Vibrant red and white colour scheme to show off and stand out! 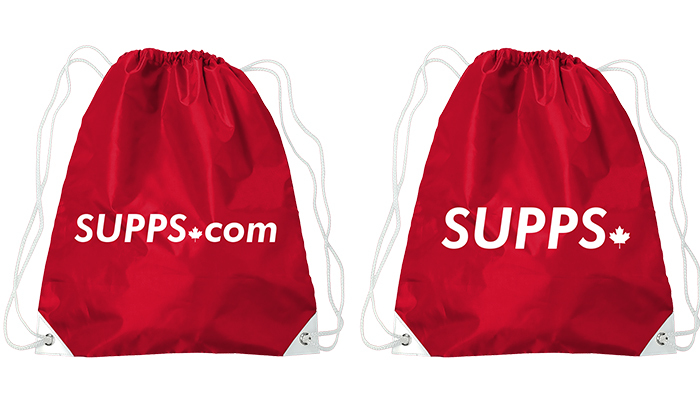 Supps.com Logo is printed on both the front and the back of the bag. 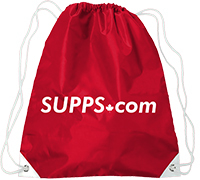 Great for transporting your gym gear, lifting accessories and even your Supplement Stack!